Prospective homeowners were given valuable insights on issues related to homeownership when they attended the First Time Buyer’s Seminar on July 28, 2016. The seminar was hosted by Paula Roper Bacchus, a realtor with Heave-Ho Properties and a panel of experts that included representatives from Lloyd J. Robinson & Associates (LJRA). Conrad Jackson, Principal of Lloyd J. Robinson & Associates, in his presentation, focused on the Value of an Architect. He highlighted the importance of involving an Architect from the start of the project. He also sought to dismiss the perception that hiring an architect can be costly. Concerning cost effectiveness, Architect Jackson pointed to the integration of energy efficient designs and materials that help increase the longevity of the property and reduce recurring maintenance costs. Other participants in the seminar were Patrice Doyley – Scotia Bank, Mortgage Underwriting Specialist; Karen Wilson, Attorney-at-Law from Earle & Wilson; Everald Scott – Commissioned land Surveyor and representatives from the National Works Agency (NWA). 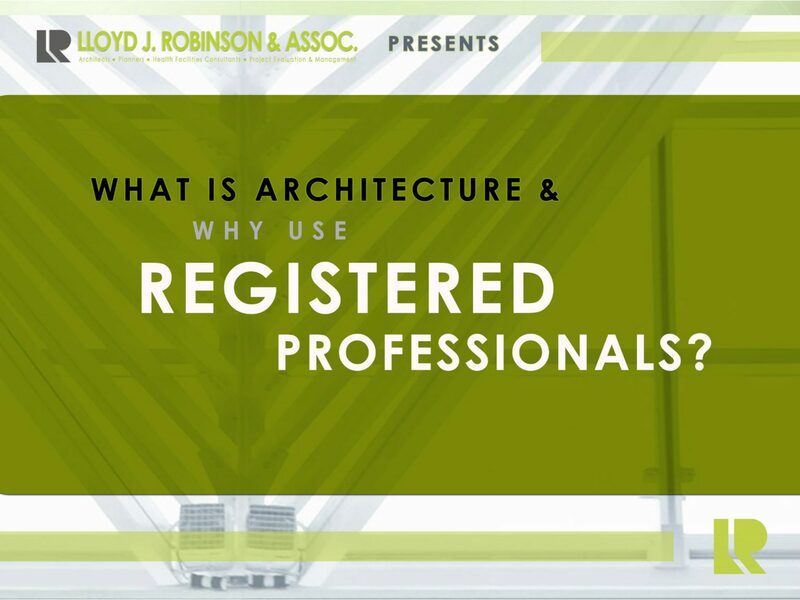 For the details of Architect Jackson’s presentation visit – the Think Architecture Blog developed by Lloyd J. Robinson & Associates. The Blog is geared towards helping our community understand the architecture around us and how to plan, design, build and rebuild in a way that helps us to keep Jamaica and our wider community safe, beautiful and comfortable for all. The blog will have material that will educate the masses on how to seek help from the right place, at the right time to further their individual goals. We will also share news on what we are doing in our community so that you can join in the excitement. The next time you think about your future, ThinkArchitecture. It is more than just buildings. Look out for more information series to come. You can find news and updates on www.ljrjm.com or visit them on Facebook or join their network on LinkedIn.